Boca Ridge is divided into three sections. They are the Boca Ridge Condos, Boca Ridge Park and Boca Ridge Glen. All sections of Boca Ridge are cat and dog friendly. And gated communities in Boca Raton Florida are not always easy to find. LOOKING FOR A PET FRIENDLY CONDO OR TOWNHOUSE IN A GATED COMMUNITY? Interested in finding pet friendly homes for sale Boca Ridge in Boca Raton FL?  Click that link to find all the currently available homes for sale in this area of Boca Raton, Florida. WHAT’S THIS GATED COMMUNITY LIKE? As you enter the gated community of Boca Ridge, you are greeted by a guard who will direct you to your destination. Boca Ridge has 230 single family homes. The homes in Newport Bay Club are divided into four sections: Copper Lake, The Hamptons, The Tides and The Estates. Newport Bay was built in the early 1990s. Each section of this dog and cat friendly gated community is a little different. Boca Ridge condos are 2 bedrooms with 4 condos to a building, so each condo is a corner unit. Square footage in the condos is approximately 1475. The condos have balconies and interior laundry rooms. Boca Ridge condos allows small dogs and cats. Boca Ridge Park are townhouses with 2 and 3 bedrooms. The 2 bedroom units are single story, while the 3 bedroom units are 2 story. Square footage in the townhouses in this section of Boca Ridge in Boca Raton Florida runs approximately 1587, with the master bedroom on the ground floor. Townhouses have vaulted ceilings and secondary bedrooms are upstairs. The townhouses are a nice size. Boca Ridge Park is pet friendly to small dogs and cats. Boca Ridge Glen are more spacious townhouses with 2 and 3 bedrooms and 1 car garage. This section of Boca Ridge has the largest townhouses with square footage of approximately 1800. In Boca Ridge Glen, master bedroom is on the ground floor with secondary bedrooms upstairs. There are townhouses with garden and lake views. Many of the homes in Boca Ridge in Boca have eat-in kitchens, walk-in closets, and screened balconies. There are NO equity fees in Boca Ridge. This is strictly a gated community in Boca Raton Florida.. What this means is you only pay your monthly maintenance. Included in that maintenance is usually basic cable, lawn care, clubhouse, and the guard house. Amenities in this pet friendly gated community iin Boca Raton FL include pool and clubhouse. Boca Ridge is a dog friendly gated community in Boca Raton Florida. And isn’t that nice for those of us who live with and love our furry friends! WHAT’S GOING ON NEARBY BOCA RIDGE? Boca Ridge is located in west Boca Raton,.just past the Florida Turnpike. There is a major hospital less than 3 miles from the neighborhood, as well as just about every kind of conceivable shopping nearby. There are five major shopping plazas within minutes of this gated community, as well as Town Center Mall just minutes away. Grocery stores, pharmacies, banks, schools, restaurants, veterinarians, dog groomers, pet stores, Starbucks, Home Depot, movies, Fresh Market, Bed, Bath & Beyond and more are just minutes from the community. Literally anything you could want is right there. Boca Ridge has a great location. Nearby is Canine Cove Dog Park, part of Burt Aronson South County Regional Park. The park also has a water park, golf course, ball fields, an aquatic park and amphitheater. At night, you may want to stop in at Boca Ale House. The Ale House is a long-time favorite sports bar and restaurant and has been there for years. Great burgers and salads. Then grab a movie at Shadowood. All within minutes of the gated community in Boca Raton. of Boca Ridge. WHAT SCHOOLS WILL THE KIDS ATTEND IF YOU LIVE IN BOCA RIDGE? If you buy a home for sale in Boca Ridge, the local schools serving this area are Sandpiper Shores Elementary School, Eagles Landing Junior High, and Olympic Heights High School. To get local school scores and more information about these schools check out the Palm Beach Schools website. There are also several private schools nearby. If you are interested in the current homes for sale in Boca Ridge in Boca Raton FL click on this link or if you have a home to sell in Boca Ridge, click on the photo to the right.. My ‘for sale’ property information is a direct feed from Palm Beach MLS + Greater Fort Lauderdale MLS and is updated all day throughout the day. Or, better yet, call or text me at 561-716-7824.